It's like someone getting all their tattoos oriented upside down so they can see them... just doesn't happen man. Can you show me a synth with the panel controls labelled towards the audience, as well as slanted that way so they can read the controls better? I think for standard guitar controls labelling would be a bit superfluous. As (the other) Tim said, you'd only need to look at them a couple of times before you knew where everything was. Given what you're doing, however, it might be a good idea to have some sort of labelling if you're going to have lots of switches/knobs. Maybe go for some weird symbols instead of letters like on Orange amps? Then they wouldn't be upside down. Synths have slightly more controls than a guitars 3 way selector and volume and tone pot... butvi get your point. Synths are facing the player not the audience lol, and also far more complex where you would actually need some amount of labelling to use it on the fly. Is it some kind of a terrible Scottish insult? 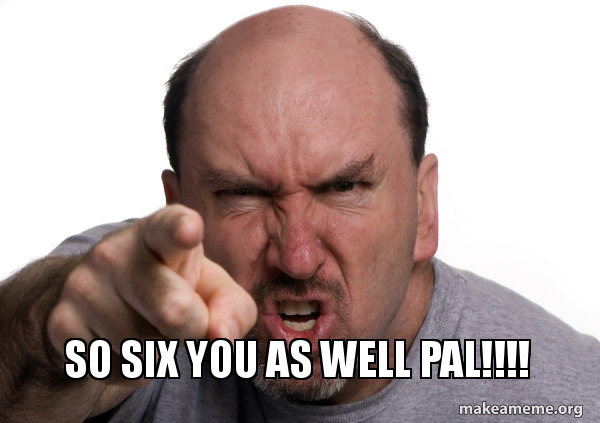 It is now... "so but 6 you as well pal"
I don't hate it but I don't need them and almost have no feeling on them either way. 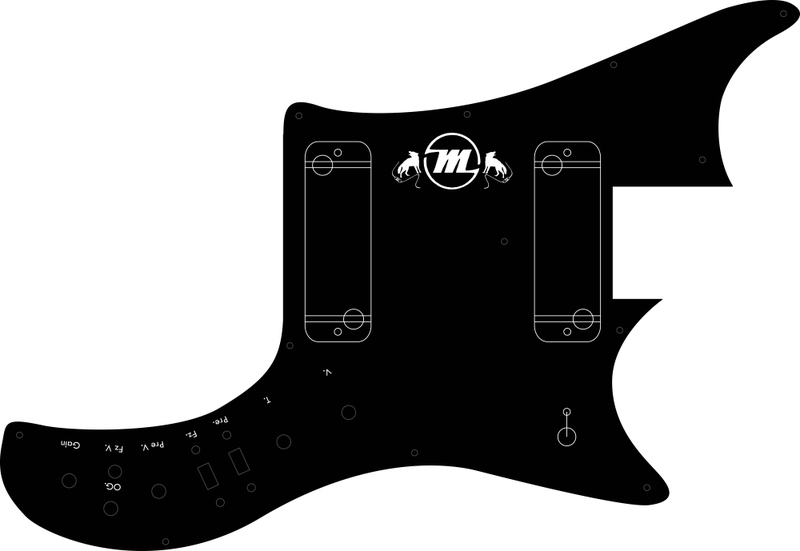 I always thought putting stickers or a diagram on the guitar that are removable would have been a good idea, I've seen some makers (Cort, that company in Japan that made the Jaguar copies with no Rhythm Circuit, and Vox I thnk) actually do that. I can see how it might help someone who is new to guitar, but to someone like me, I'm pretty good at figuring these things out myself as I assume most other people are. Righto. Good feedback. I agree with all of it. 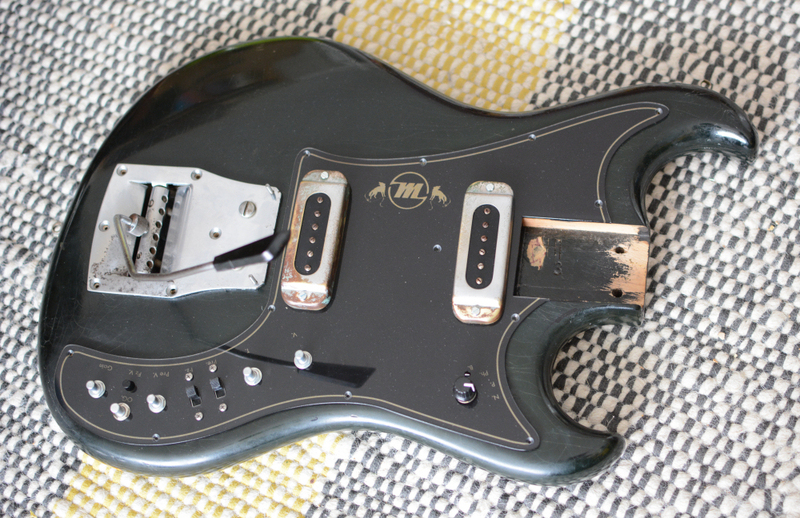 If you're going to do screen printing or labeling you could experiment with some accent lines to the pickguard. But that might be gilding the lily, so to speak. Thanks. I think you're right. The Musima originally has this accent, but Framus and Hopf don't. Because it's a black guitar I reckon it's needed. I'm nuts for these upside-down controls. What program are using to draw these sketches? Almost done! 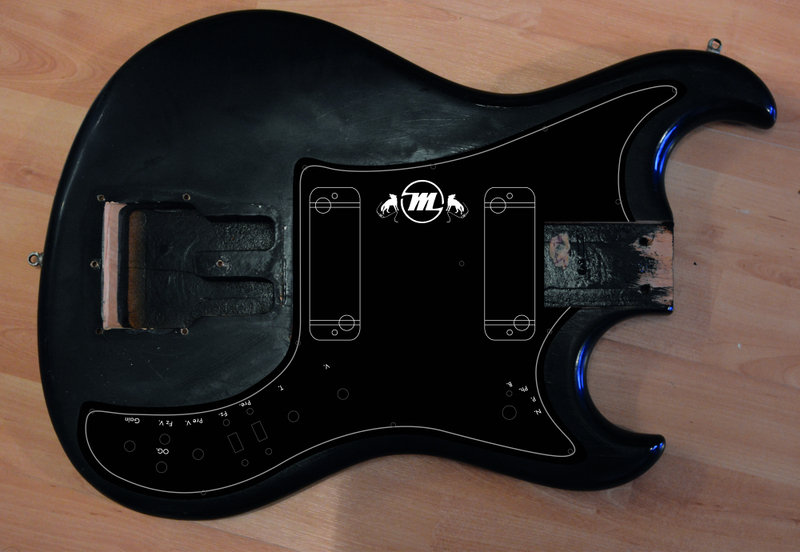 I got the custom pickguard made by Scratch-It, who were super professional and helpful. Really pleased with the result.